Yutaka Matsuo is a full-time researcher at Japanese National Institute of Advanced Industrial Science and Technology (AIST), and now visiting Stanford University. He obtained his Ph.D degree from University of Tokyo in 2002. He works on social networks and Web mining. 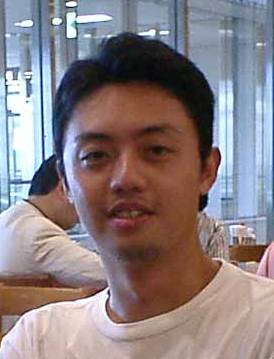 He got the best paper award from the Japanese Society for Artificial Intelligence in 2002, and is one of the active young researchers in Japan.